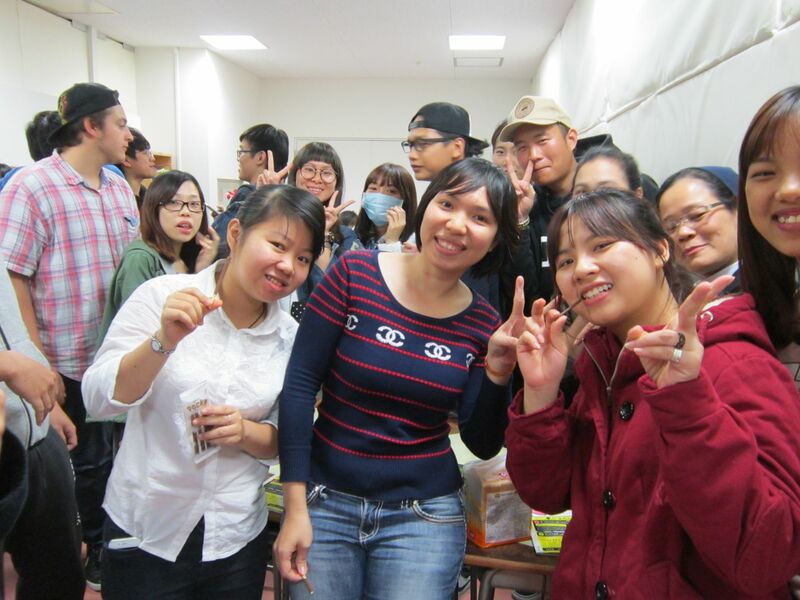 An international student of Japanese department can join a variety of activities provided by Kobe YMCA. Kobe YMCA International Volunteer staff and Japanese supporter staff plans an exchange meeting with international students. 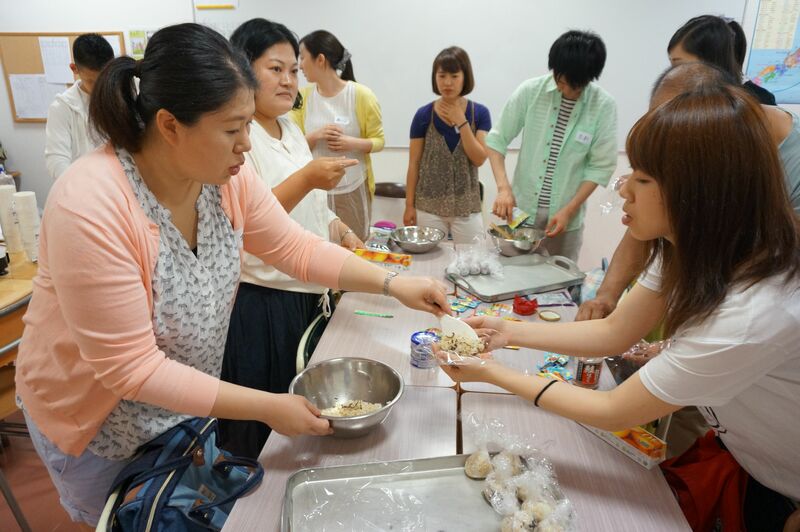 There are lots of fun activities such as rolled sushi party, making an onigiri, Christmas party, and street side fundraising. 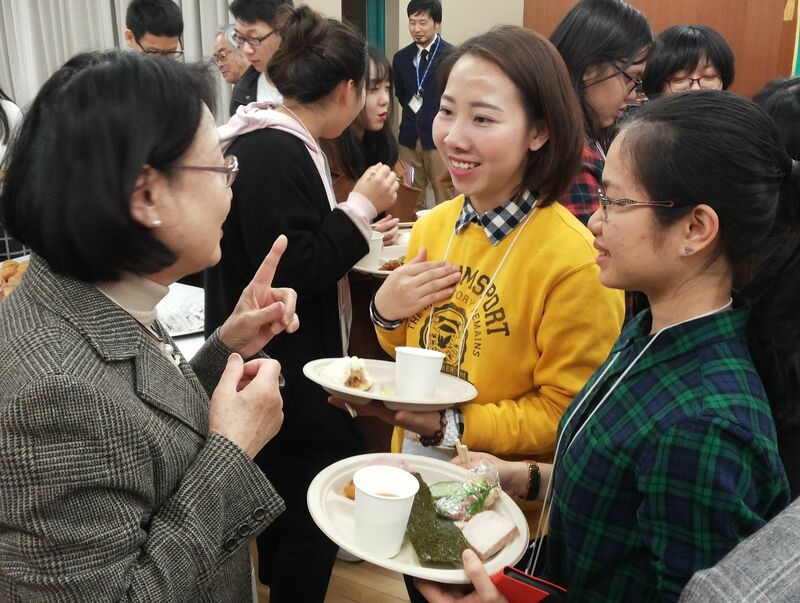 Kobe YMCA offers international students an exchange meeting with some Japanese group. Students of neighboring university and high school visit YMCA to exchange their opinion about their culture and experience. Students of Silver College who are studying Taiwanese history are very glad to have the chance to learn its culture by talking to Taiwanese students of Kobe YMCA. Kobe YMCA is one of the workplaces which provide junior high school students an opportunity for job experience. 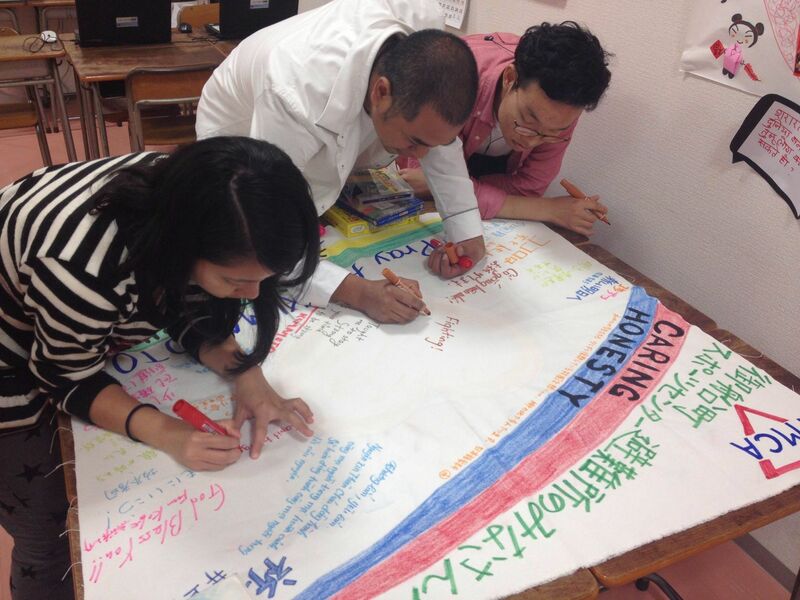 They join and observe Japanese class, and have a chance to talk to exchange students in class and after class. It is also a good opportunity for international students not only to practice Japanese but to know Japanese schools. Kobe YMCA does a variety of volunteer activities. 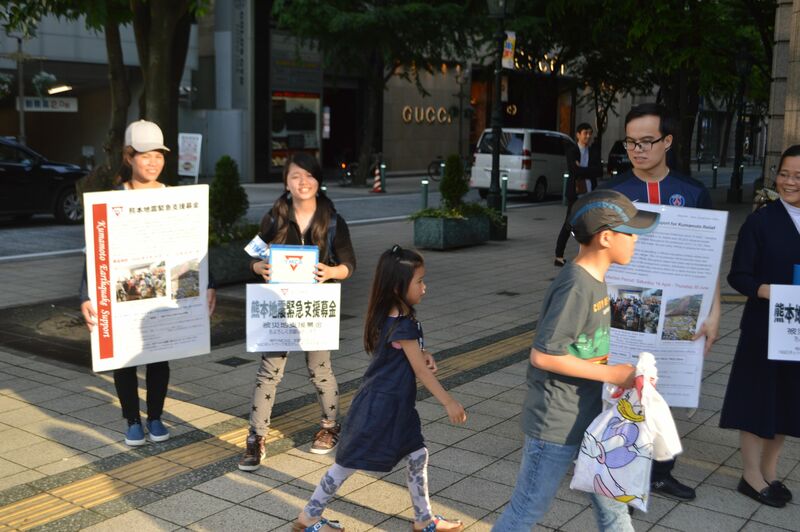 Exchange student of Kobe YMCA also helped out with the restoration support in the affected area of the Kumamoto earthquake occurred in April, 2016. 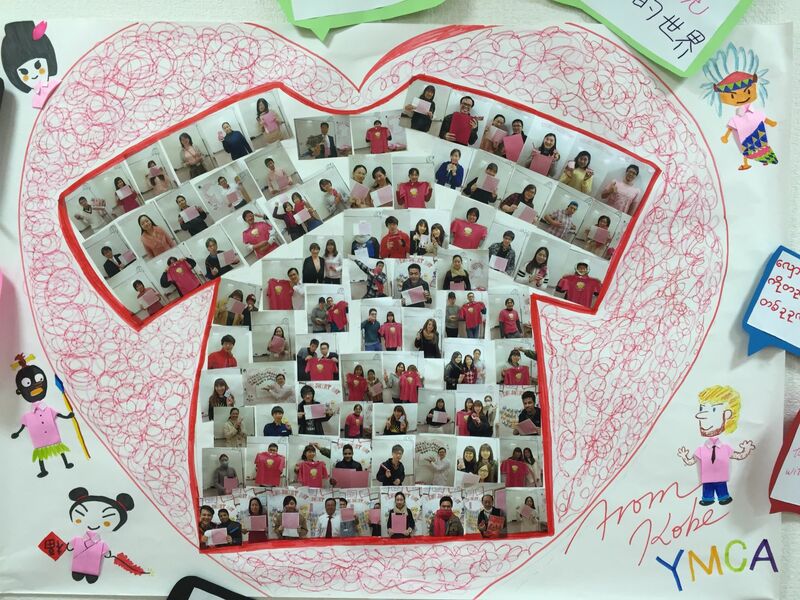 Kobe YMCA Pre-school has an international day every year. It is a day for children to know and learn about countries from all over the world. International students are also actively involved in this program and are trying hard to introducing their countries in Japanese to children. 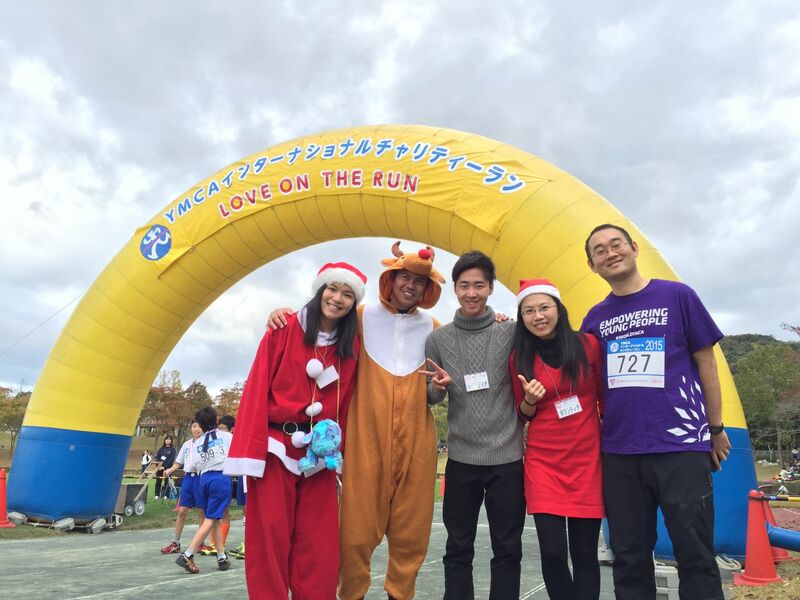 YMCA International Charity Run is held every year to support disabled children to attend YMCA’s summer camp. International students also join this program as a volunteer staff and it becomes an opportunity for them to meet the attendees and people related to them. People related with YMCA and the students are involved with a side street fundraising every December wishing that every child and the youth around the world can have enriched lives and the world becomes peaceful. We also fundraise for the purpose of the restoration support in the affected area of a disaster. Kobe YMCA is located in the center of Kobe and there are many foreign people living around this area. 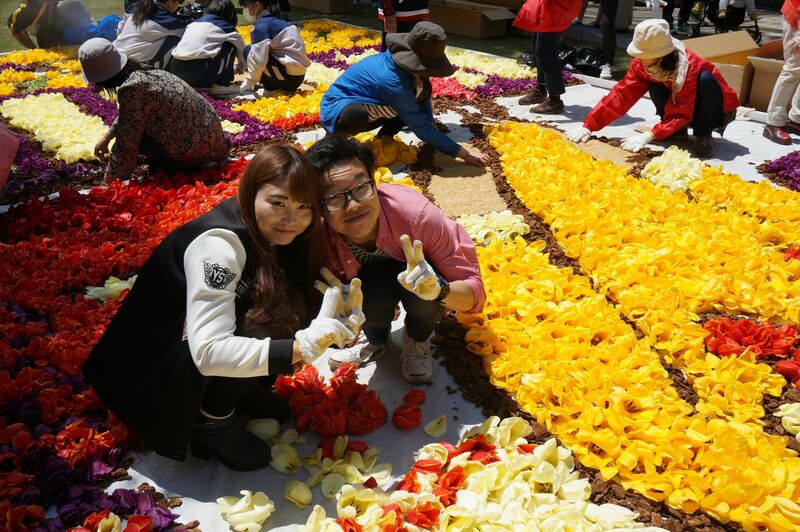 INFIORATA Kobe is an event that people draw a picture on the street or public areas using flower petals. This event was originally started in Italy and now it became one of Japanese spring features. Students of YMCA also attend it every year.